Stacking the Shelves is a weekly meme hosted by Tynga's reviews to show off the books you've borrowed, bought or been given this week. I haven't done this for a couple of weeks, so here are my books. The first is an ebook. The other two I got this week in Edinburgh. I told myself "I can't buy more books!" 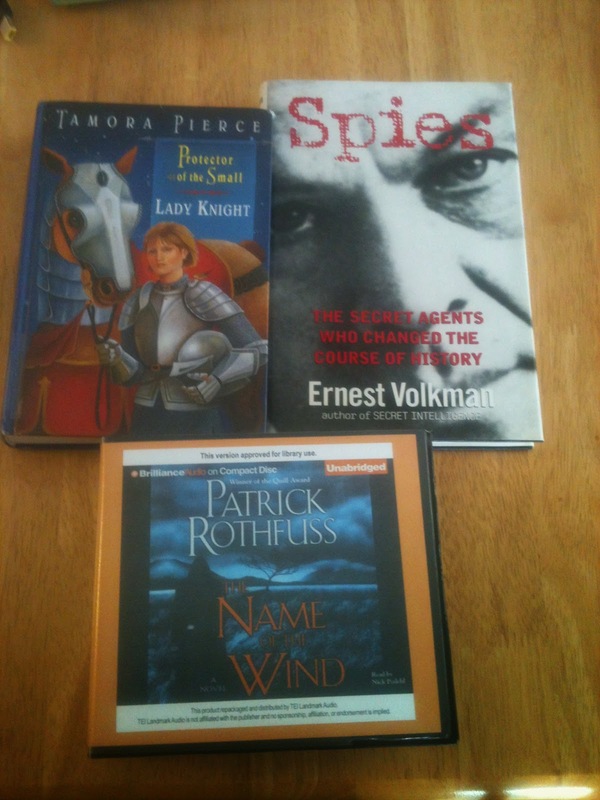 But I was hunting around the charity shops for a new jacket, and found a couple of things I couldn't resist. It's money going to charity so it doesn't count as buying books ;-). All links go to goodreads. 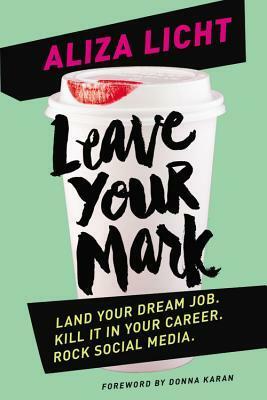 Leave Your Mark, by Aliza Licht. This one is a bit different for me. It's non-fiction, sort of half advice book, half autobiography of Aliza Licht who is the head of public relations for DKNY. I saw a few promotional excerpts for this one, and since I'm applying for publishing jobs just now, I thought it would be useful to see her advice. I'll be reviewing this one sometime in June I expect. 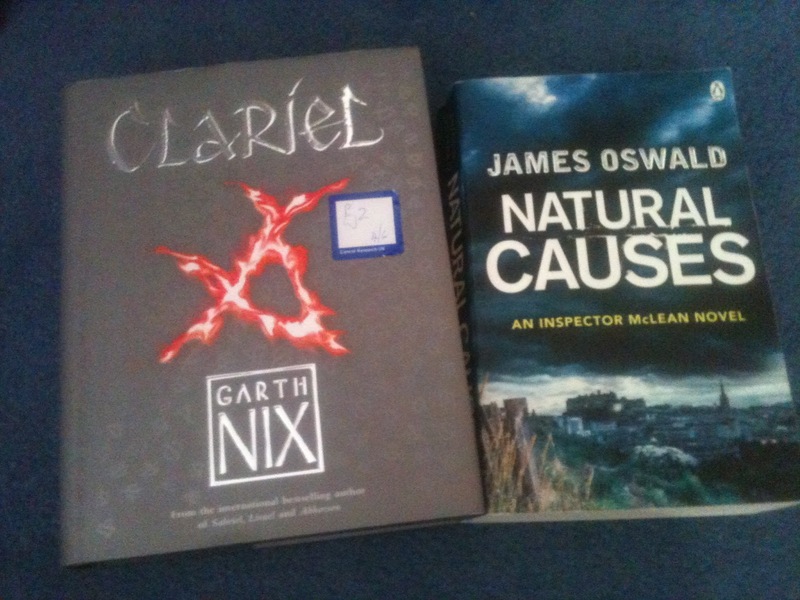 Clariel by Garth Nix. I love Garth Nix and his 'Old Kingdom' series is one I come back to re-read again and again. Clariel is set many years (a couple of hundred, I think) before the events of Sabriel. I think it might even be set before Touchstone is born, but I can't quite remember. I'm very excited to read this, I'll be getting to it very soon. And the shop had it for just £2 for the hardback! Can you blame me for buying it? Natural Causes, by James Oswald. This is a crime novel, set in Scotland, written by a Scottish author. And yes, that is Edinburgh on the cover, for the curious. It appeals to me for all of those reasons! It started as a self published novel but he eventually picked up an agent who sold the series to Penguin. He's now also got a fantasy series being released, which I'd love to read too. This is definitely going to be coming on holiday with me this summer, if I don't end up reading it sooner! Have you read any of these books? What did you get this week? Feature & Follow is a weekly feature hosted by Alison Can Read and Parajunkee's View. It's been a quiet couple of weeks for me, but I'll be back later today with a review of Rainbow Rowell's 'Fangirl'. 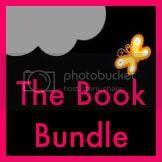 And remember, you can still enter to win a kindle, or a bundle of ebooks, on the blog here. 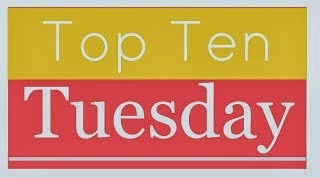 This week's question is 'How many books are on your 'To Be Read' list?' To which I can only say: Ha. Hahahahahaha. In the physical pile of books that I own, I'd say easily 20 that I either haven't started or have only got part way through, probably more than that. On my mental list of books I want to read, and my amazon wishlist, there are many more. This week's theme is 'Ten books I plan to have in my beach bag this summer'. Which books are you reading this summer? Feel free to leave me links in the comments! You can read the first two chapters on Kit Rocha's website, here. Purchase links: Amazon, Barnes & Noble, iBookstore. So, on to the giveaway! 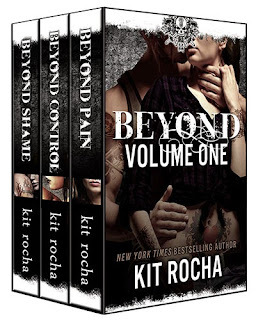 As I said, you can win the first three books in the series: Beyond Shame, Beyond Control & Beyond Pain. Just leave a comment letting me know how you follow the blog! Enter by leaving a comment and letting me know how you follow the blog! 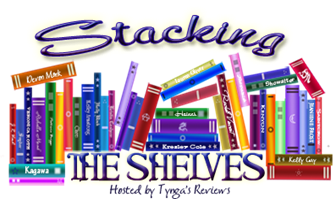 Stacking the Shelves is a weekly meme hosted by Tynga's reviews to showcase the books you've received this week. I got more books this week that I thought, mostly thanks to the library, so let's get right on to them! Stormcaller, by Tom Lloyd. I've been considering buying this book for a while, so having found it in the library I'm glad to finally get the chance to read it. 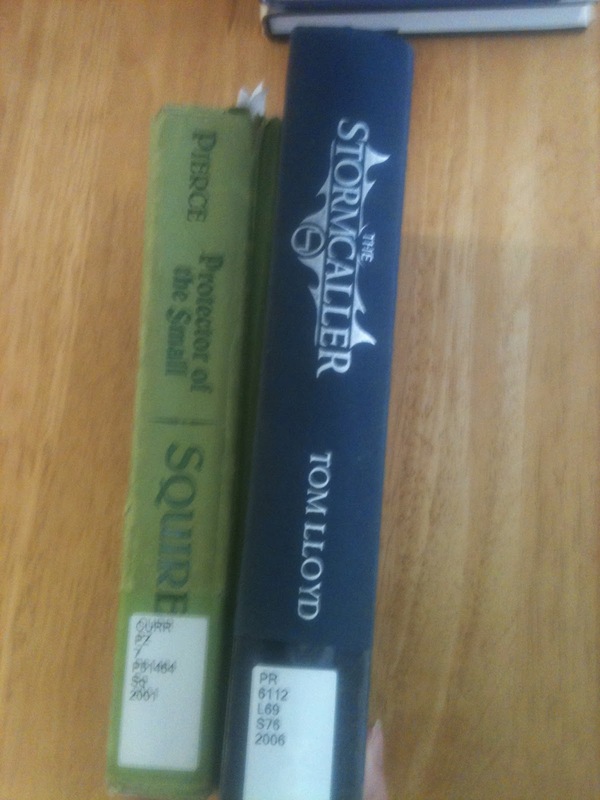 Squire, by Tamora Pierce (Protector of the Small #3). I've been reading this series recently (check my review for book one) and I'm looking forward to finishing it up this week. Lady Knight, by Tamora Pierce (Protector of the Small #4). Spies, by Ernest Volkman. This is a collection of true stories from former spies, which my friend leant to me with a recommendation. The Name Of The Wind, by Patrick Rothfuss. Kingkiller Chronicles #1. I've actually got this book already and it's one of my favourites, but this is the audiobook, another library find. I love a good audiobook and I'm very happy to be adding this one to the collection. Finally, the one I'm most excited about: I received from the authors an ARC of the latest 'Beyond' novel, Beyond Innocence. It comes out on the 20th, so you can expect my review a couple of weeks from now. 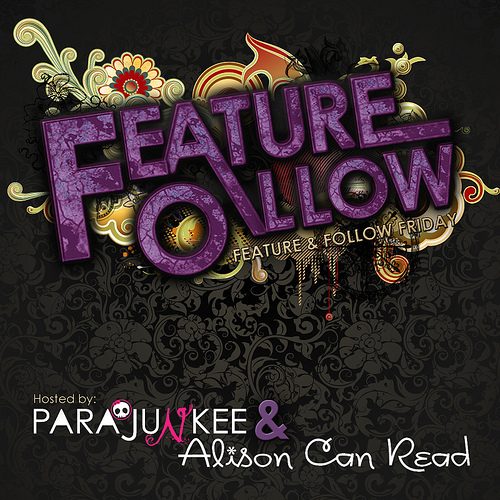 Feature & Follow is a weekly meme hosted by Parajunkee & Alison Can Read, as a way to meet new bloggers. This week they posed the question "How do you decide what to read?" I think this is an interesting question! Generally if I've just bought a book, I'll start reading it that day, even if I'm already reading something else. If I'm looking for something new from my tbr pile, it's largely dependant on my mood. If I want something lighter, happier, I might go for a historical romance. Steampunk always cheers me up too. If I want my usual, I go for an urban fantasy, I love those. It really does depend on feeling, and which book blurb I think sounds better out of the books I'm deciding between. Sometimes reviews sway me, but the kind of books I'm swayed to buy because of reviews are the kind I'll read straight away! Description: Rachel Morgan has come a long way since her early days as an inexperienced bounty hunter. She’s faced vampires and werewolves, banshees, witches, and soul-eating demons. She’s crossed worlds, channelled gods, and accepted her place as a day-walking demon. She’s lost friends and lovers and family, and an old enemy has unexpectedly become something much more. But power demands responsibility, and world-changers must always pay a price. Rachel knew that this day would come – and now it is here. To save Ivy’s soul and the rest of the living vampires, to keep the demonic ever-after and our own world from destruction, Rachel Morgan will risk everything . . .
My thoughts: When you read a series over a number of years, there are always mixed feeling as you hold the last one in your hands. I had hopes, expectations, sadness that it would soon be done, and a little fear that it might not be a 'good' ending, tying things up well. Of course, this is Kim Harrison, and after reading this series for the past 10 years or so, I should know I can trust her. The main conflict of this book is that Cormel, vampire leader of Cincinnati wants Rachel to solve the problem of vampires keeping their souls in their 'second life'. And he wants her to do it NOW. Rachel's learnt to stand up for herself, but Cormel knows her weak points: her friends. I don't want to talk too much about the plot, so let me focus instead on the questions I had before starting. Yes, this is a great final book of the series. It wraps up the big issues and it has a story of its own without being a book-long epilogue. There will be other issues for Rachel and her friends after the book finishes, but we don't see them, and I don't think we need to. 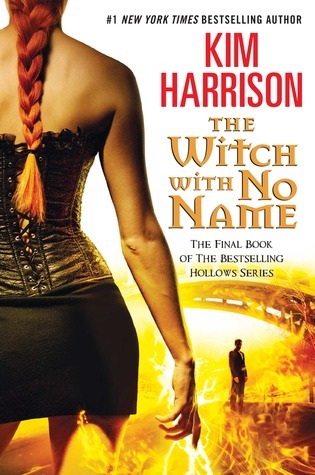 This series for me has been a perfect example of excellent writing: characters who grow and change in a clear but gradual way over the series; an overarching plot connecting all the books; individual plots distinct to each book; an engaging romance element; well developed secondary characters; and now - a good, rounded off ending. I give this book, of course, ten out of ten. I didn't have anything particular to post about this week, but then I got the Angry Robot newsletter through yesterday. So, here are two of my favourites coming out soon. The Waterborne Blade, by Susan Murray. Description: The citadel has long been the stronghold of Highkell. All that is about to change because the traitor, Vasic, is marching on the capital. Against her better judgement, Queen Alwenna allows herself to be spirited away by one of the Crown’s most trusted servants, safe from the clutches of the throne’s would-be usurper. Fleeing across country, she quickly comes to learn that her pampered existence has ill-equipped her for survival away from the comforts of the court. Alwenna must toughen up, and fast, if she is even to make it to a place of safety. But she has an even loftier aim – for after dreaming of her husband’s impending death, Alwenna knows she must turn around and head back to Highkell to save the land she loves, and the husband who adores her, or die in the attempt. 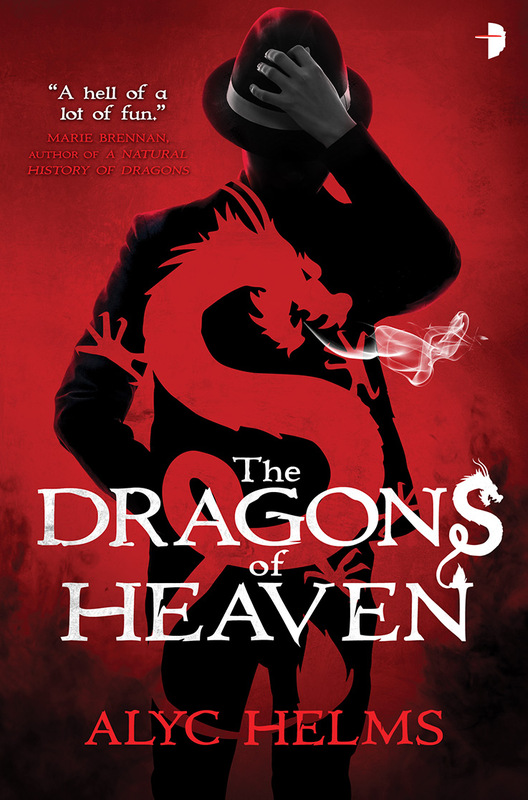 The Dragons Of Heaven, by Alyc Helms. Description: Would you deal with the devil to save the world? Leave me your WoW links in the comments and I'll have a look!